If you are migrating data from your existing accounting system to Zoho Books, this page will guide you on the steps to migrate into our accounting system. Click the Gear icon in the top-right corner of the window. Enter and select the relevant details pertaining to your organization. Select an Opening Balance Date by clicking the date field. This is the date in which you are migrating your accounts from your current accounting system to Zoho Books. Click Click here to enter the opening balance to edit the Accounts Receivable and Operating Payable. 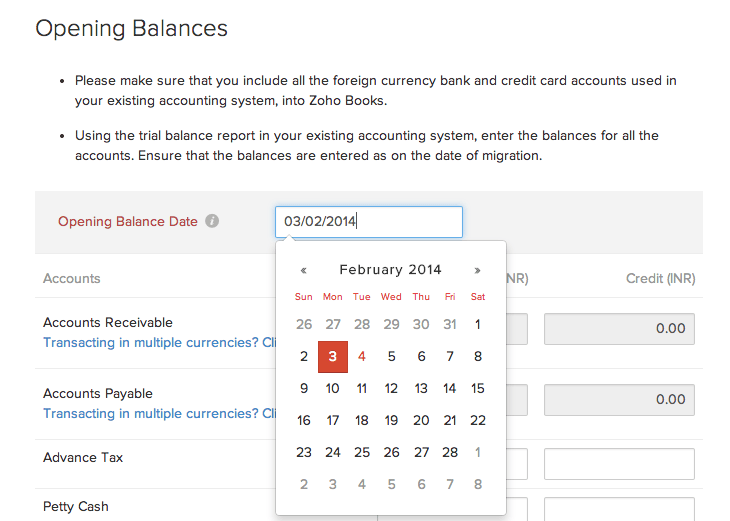 Using the current trial balance report from your existing system, enter appropriate balances for your accounts in Zoho Books. 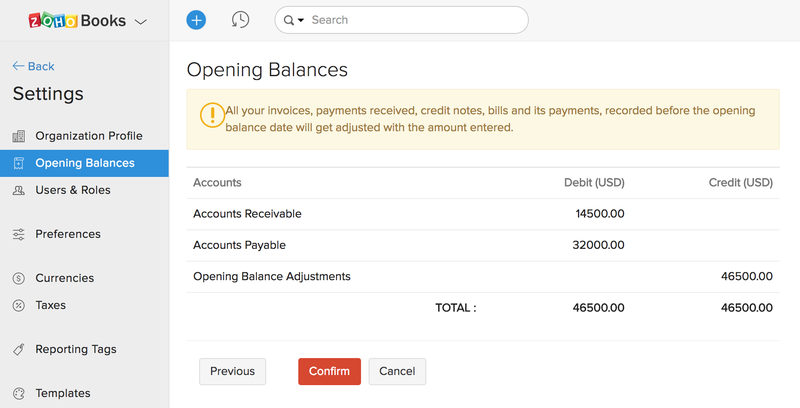 Note: You may have to make adjustments in your opening balances accordingly if you have already imported your invoices, bills, expenses, payments etc., into Zoho Books so that you could ensure all your accounts are balanced. Technically debits and credits have to match and there should be zero balance. If there are differences between debits and credits, it will be held in the Opening Balance Adjustments account. Click Confirm to finish setting up Opening Balances. During the initial setup of Zoho Books, you would have added the taxes and the tax authorities as it was in the old system. If you’ve not added them, you must manually create the taxes. Also, you must create tax authorities and associate taxes to it. Click the + New Tax button. Enter a Tax Name and Rate (%) . 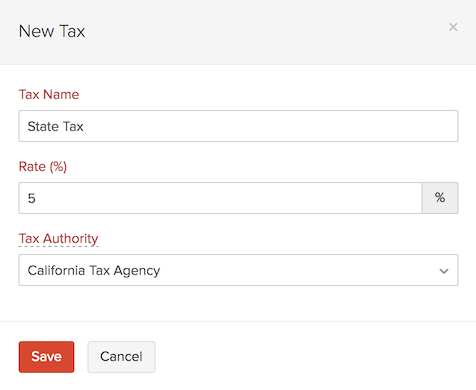 Select a Tax Authority from the dropdown menu or type the tax authority name to add it. Repeat the process to create the other required taxes. If you import transactions with taxes associated to it and if those taxes are not present in Zoho Books, then the system will create new taxes with the available details. If you import a transaction with multiple taxes applied to it and if those taxes are not present in Zoho Books, then the system will create a new tax group with the available details. 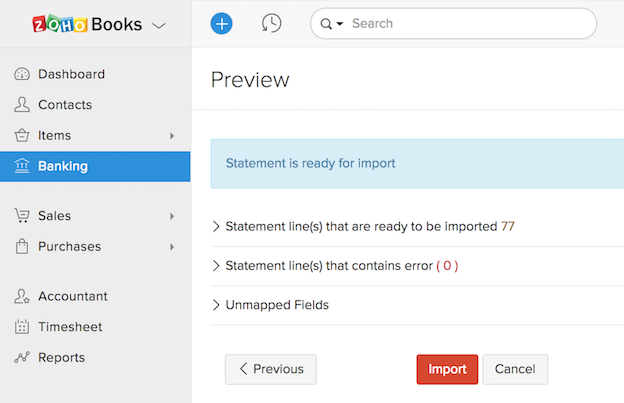 Go to the modules that you want to import in Zoho Books and use the export option. Save the files in the appropriate format on your device. 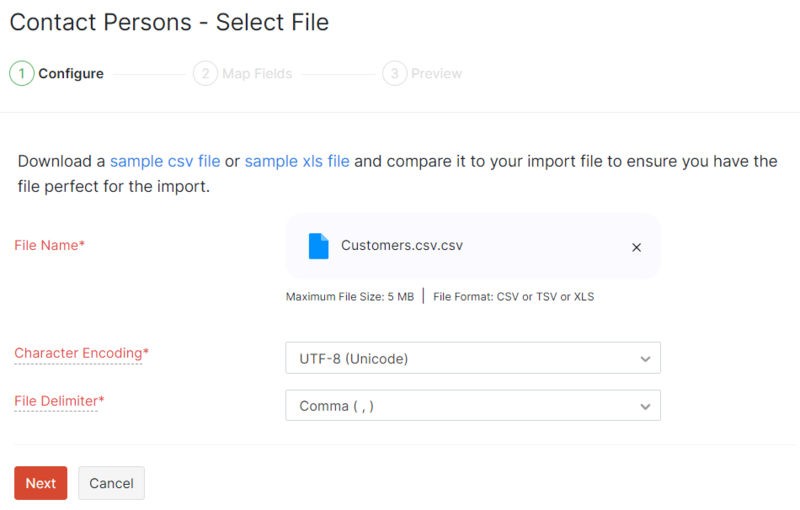 Note: Zoho Books supports only CSV, TSV and XLS file formats and you must ensure that the data is exported in any one of the supported formats. 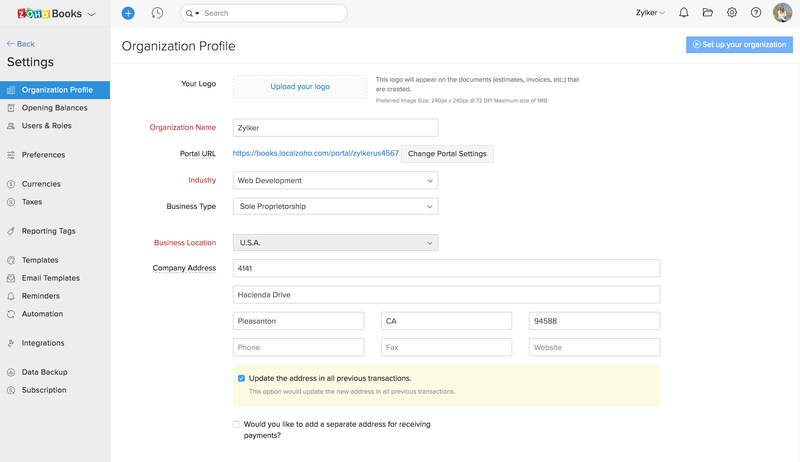 In Zoho Books you have the option to import data from your computer to speed up the data collation process inside every module. Go to the Accountants module from the left pane in Zoho Books. Click the Gear dropdown in the top-right corner. 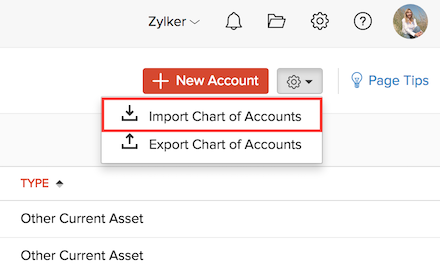 Select Import Chart of Accounts. Choose the appropriate Character Encoding from the dropdown menu to match the exported file format. Choose the File Delimiter from the dropdown menu according to the exported file. 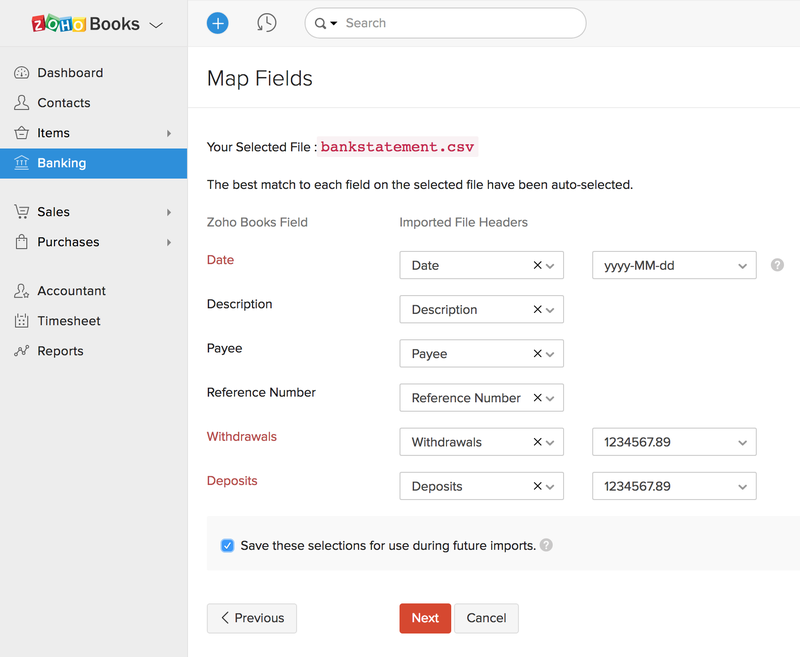 Map the fields of the imported file to the fields in Zoho Books. Check Save these selections for use during future imports. to use the same mapping in future imports. A list of the ready-to-be-imported, skipped and unmapped fields is displayed for final verification. 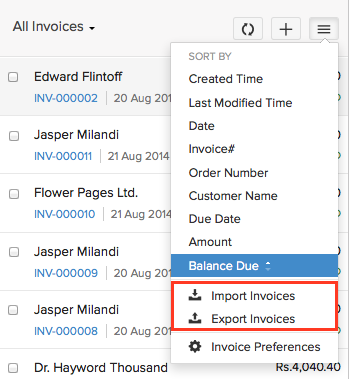 Now, import the data of each module, such as Contacts, Items, Estimates, Invoices, etc. into Zoho Books either in CSV, TSV or XLS. For modules such as Items and Price Lists, you can find the import and export option under the Settings icon dropdown. 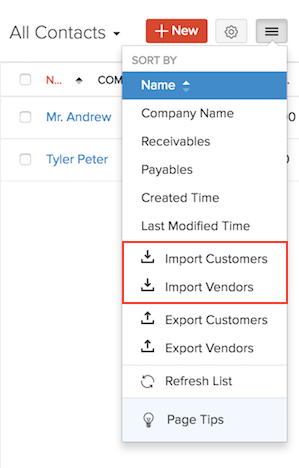 For the Contacts module and other modules under Sales & Purchases, you can find the import and export option under Menu icon in the list view. Navigate to the module you would like to import data. Click the Import option from the dropdown menu. You will be directed to another page where the data you wish to be imported needs to be uploaded. Data can be uploaded either as a CSV (Comma-Separated Values), TSV (Tab-Separated Values) or XLS (eXceL Spreadsheet) file from your hard drive. Also select the character encoding based on your import file and click Next. 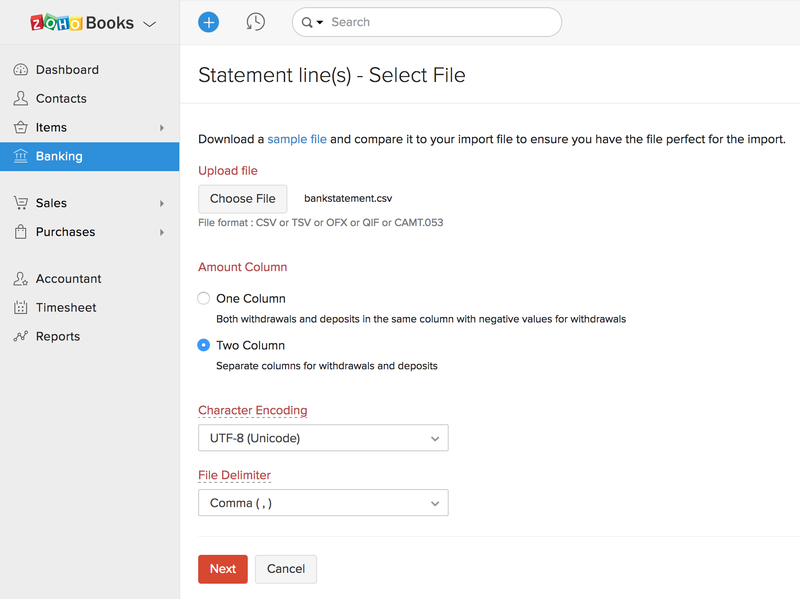 You have the option to download a sample file to compare it to the file you are importing to ensure that the import is quick and efficient. Click on sample file to download it to your computer. 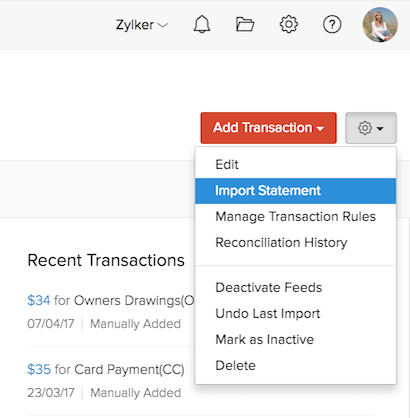 After you’ve imported the transactions of various modules into Zoho Books, you might want to add your bank accounts and credit card accounts in the Banking module and have the imported transactions matched or categorized for your bank reconciliation. Go to the Banking module. Click the Add Bank or Credit Card button at the top-right corner of the window. Search for your bank and select the bank you wish to add. 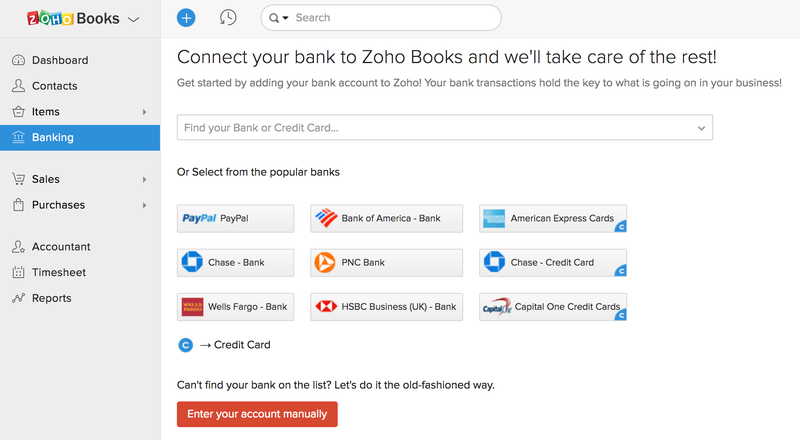 Enter the credentials and select the appropriate account to configure the bank account in Zoho Books. Or, click Enter your account manually and add the bank or credit card account manually. Find the bank account or credit card account from the list. Enter the Credit and Debit amount in its field. 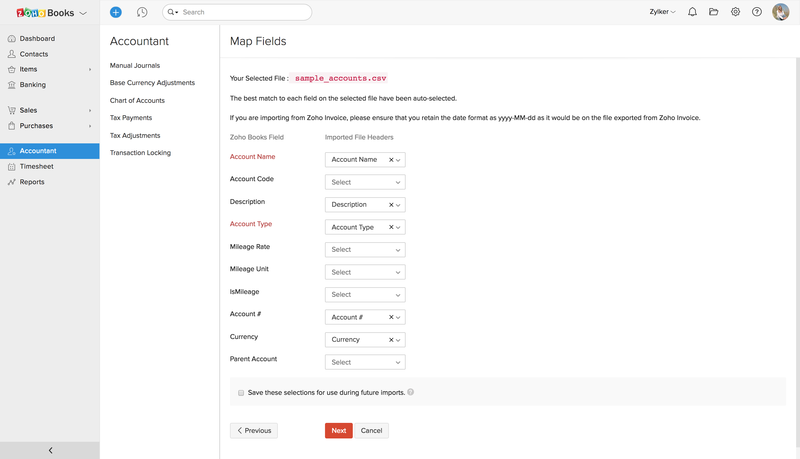 Now, navigate to the bank account in your Banking module. If you’ve linked your Zoho Books bank account to your bank’s website, the bank feeds which are upto 90 days old will be fetched into the account. Click the Import Statement button on the top-right corner of the window. Or, click the Gear dropdown and select Import Statement. Choose the Character Encoding from the dropdown menu as UTF - 8 (Unicode). Next, you can match or categorize the feeds with the transactions that you’ve imported for the other modules. Learn more about matching and categorizing transactions. We don’t directly support importing your journals, deposits, fund transfers etc., from your existing accounting system. But, you must enter or update the entries in Zoho Books accordingly so that all your accounts match. Please ensure that you map the fields properly and get rid of unnecessary commas, blank columns etc., and special characters like apostrophes, asterisks etc. If you have imported all your invoices or bills, ensure that appropriate statuses are maintained even after the migration. 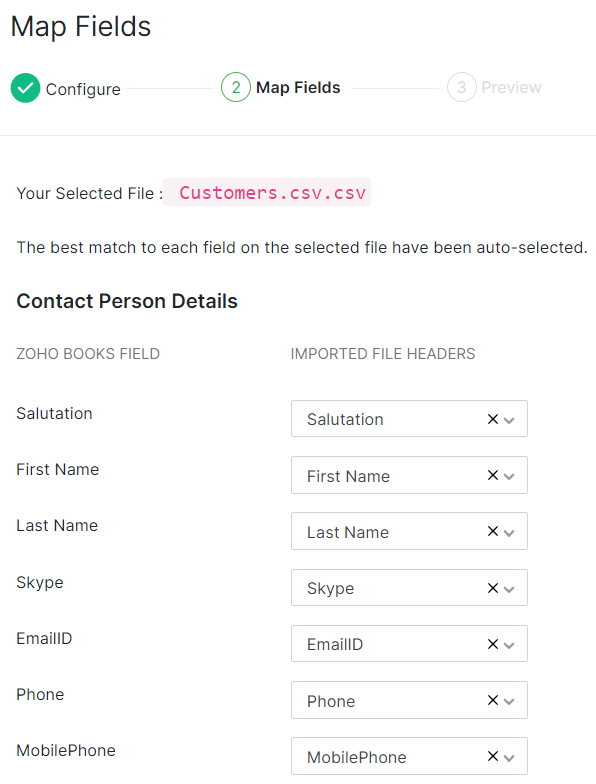 Please note while you import your files into Zoho Books, the value in the field should match with the data type supported by Zoho Books. 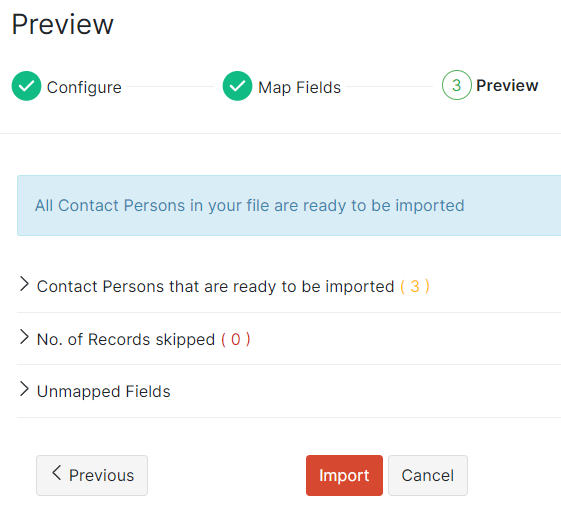 There will be unmapped fields in your import file that would not have been mapped to any Zoho Books field. Hence, if you want these fields to be imported, the column header(s) should be mapped properly. You’ll not be able to import the data backup files of a Zoho Books organization into a new Zoho Books organization. If you need further support regarding entering any of your business transactions in Zoho Books, please contact us anytime, our support folks will touch base with you soon.